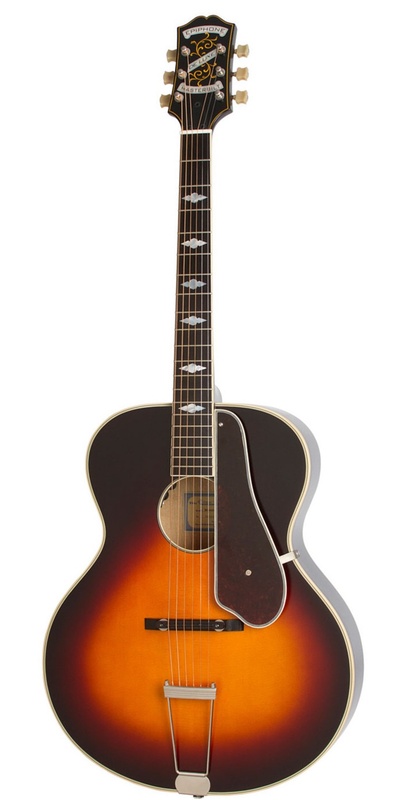 The Epiphone Masterbilt Century Deluxe will immediately throw you back to the 1930's! Back then, Epiphone's archtop guitars were built to be played unplugged. You see, there was no guitar pickup back then. They were known for their warm, punchy and loud tone. But as the electric pickup was invented, they became "electric guitars" and their acoustic power has been forgotten. Gladly, Epiphone decided to introduce their acoustic archtop line to the 21st century as the Epiphone Masterbilt Century Collection. The Masterbilt Century Deluxe is an old fashioned designed guitar with a beautiful open tone and superb playability. The true magic comes to play when using the eSonic HD preamp and Shadow NanoFlex HD Under-saddle pickup, as it is a responsive, easy to handle pickup. This, along with the solid spruce top and stunning looks makes this guitar stand out.